The gig economy has been around for a long time and it’s based on the assumption that there are two or more businesses involved in a contract to perform a task and so employment law doesn’t have a place in such arrangements. That’s because businesses can take care of themselves. Right? Well, not really, when one business is a multi-million dollar business and the other is a guy on a bike. The gig economy has been in the news lately because some big food delivery companies have allegedly been underpaying the people on bikes who deliver the pizzas and other staples. The big companies say it’s just one business forming a contract with another business (the biker) and there’s no need to involve pesky awards and industrial laws because these deliverers are not employees, they’re businesses. The Fair Work Commission, however, is likely to say that if the workers are paid a guaranteed hourly rate then they’re really employees and so they should be treated that way and given employee benefits. The ATO will say that for tax purposes, they are just like employees and so they should pay tax like other employees. The workers will say that they just want to be paid a fair price for their work. Admirably, Adam Bandt wants a fair deal for the workers and the way he sees it under his bill, corporations like Uber and Deliveroo will still be able to use any legal arrangement they choose, but won’t be able to use these arrangements to undercut legal minimum wages and conditions given to employees. The problem is that bit I mentioned earlier – if they are guaranteed a minimum hourly rate then the Fair Work Commission will say “treat them as employees in all respects”. And the big companies will be upset and fight back. So is there a solution to keep all the players sort of happy? 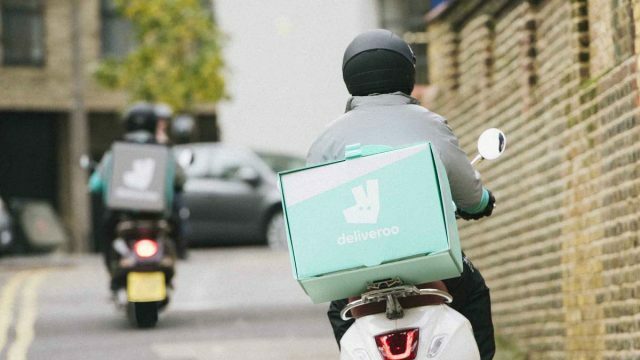 Since November 2016, small businesses (for example the bike-riding food delivery people) that believe they’ve been treated unfairly by big business have had access to an unfair contract line of complaint and possible remedies. The relevant law is the Treasury Legislation Amendment (Small Business and Unfair Contract Terms) Act 2015 that came into effect on November 12, 2016. This is federal law so it applies around Australia. The consequence is that a form of consumer law now protects small businesses from unfair terms in standard form contracts issued by big business. The Australian Competition and Consumer Commission (ACCC) oversees the law and notes that a standard form contract is one that has been prepared by one party to the contract and the other party has little or no opportunity to negotiate or vary the terms. That is, it is offered on a “take it or leave it” proposal. The trouble in getting justice under this law is that if a small business (like the guy on a bike) thinks a term in a contract is unfair, the small business can lodge a complaint and/or see a lawyer. That is a problem because the big company might just sack a complainer and often the small businesses/workers don’t want to complain, etc. The better approach would be for the law to be changed to allow a relevant government agency or a trade union to just haul these contracts in for assessment. The ACCC could be given power to recommend changes and/or a court can order changes to make it fair, if the parties don’t like the ACCC recommendations. This approach may have more chance of succeeding. It won’t get into legal fights over who is an employee versus who is a contractor, and it won’t drag individual workers into the spotlight. A fairer approach needs to be put in place so having an option that may appeal to the big companies could possibly be more effective.